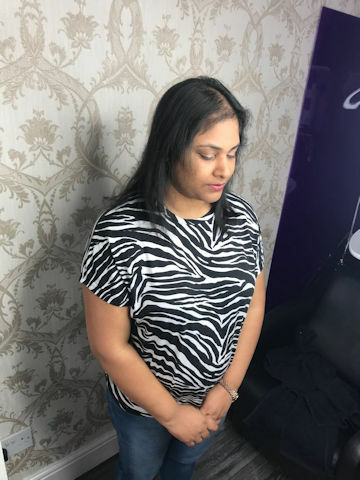 Introducing Charisma Hair Loss Clinic we recognise and fully understand the importance of hair loss and how it can cause devastation to any women's world. 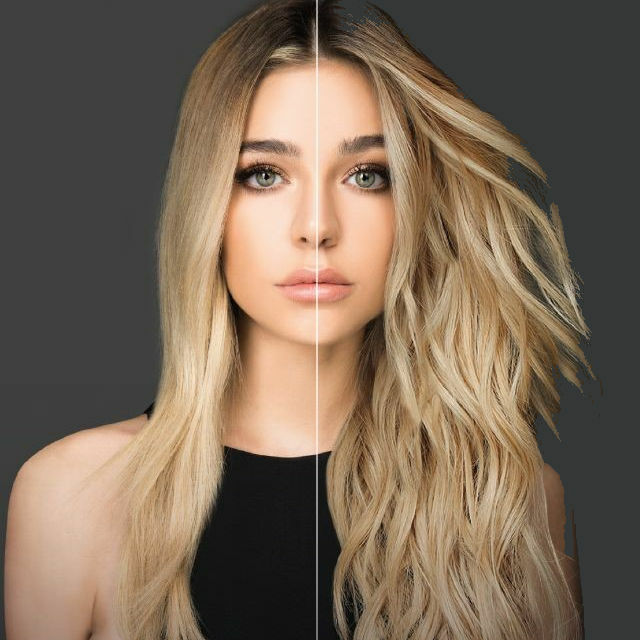 Our aim is to provide bespoke hair solutions with the latest techniques to suit any women and their situation to regain their new found confidence. We also understand that it can be a confusing, difficult time for our clients and that they need to be treated with the upmost care, respect and discretion. For those who suffer from Trichotillomania, Cranial surgery, Alopecia, Post-Chemotherapy, Post-Radiotherapy, Genetic thinning, Chemical damage and any more conditions. We are continuously researching to provide the most natural, exquisite and permanent hair loss solutions for you. We aspire to make our services affordable whilst still using the best quality hair. Our intergrated system is a light weight durable mesh which is secured to your scalp using your own hair. If you have total hair loss specialist surgical tape is used. We then attach 100% real hair wefts to the mesh using light weight rings. 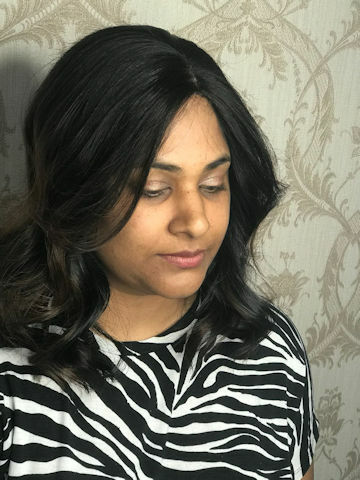 With the breathable mesh it allows the air to reach your scalp.The system is non invasive, non surgical, it can be also be used to add volume and length. The system is so natural looking it feels and looks like your own hair, we truly believe it is an amazing solution for total hair loss. We can give personal one to one consultations and our specialists can advise on a colour and style best suited to you. You can choose from a wide range of colours and styles from straight to curly giving you the look desire. Each system is handmade and designed for every individual client. 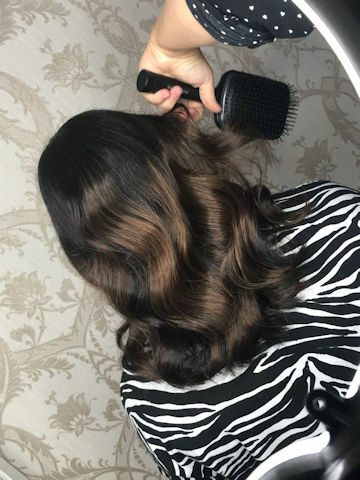 Our specialists with over 10 years experience are here to help women of all ages across the UK using our bespoke hair systems. Let us help you regain the confidence you deserve. 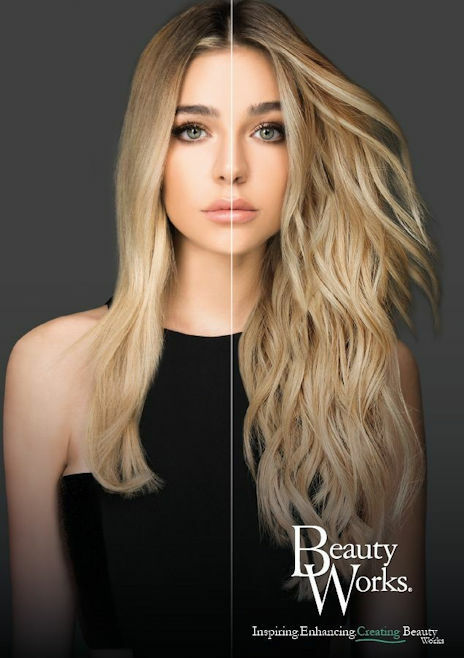 Crowned best hair extensions for 6 years running they also been worn by celebrities and beauty influencers such as Michelle Keagan, The Kardashians, Nicole Scherzinger and Desi Perkins. For more information and free consultations, please call us on 01179674040. Request an appointment and we will get back to you with your propsed time or as close to it as possible. Here are some of our latest reviews for our hair salon, princess parties and our beauty section. I've been going to Charisma for nearly three year. This is my treat to me. I'm always made to feel welcome & important by all the staff. I have recently been having my hair done by Becky & am so pleased, as I was concerned when my previous hairdresser left, but no worries Becky is great. Becky always give really good advice & ideas, and I always leave feeling happy. I had my first cut with Charisma by Lisa. She was really friendly and made me feel relaxed. She was also really helpful and understanding - brilliant for someone who doesn't really know what to do with their hair! I booked straight in for my next cut and would definitely recommend. What a discovery charisma hair salon is. Becky is so professional and cuts and styles so beautifully. The salon and staff are so friendly and warm. Its bright and cheery and you are thoroughly pampered the whole time you are there. Would recommend the salon to anyone you won't be disappointed. What a lovely experience, lovely modern salon, a friendly welcome, offered a drink straight away and some quality magazines to read! My stylist was so helpful and honest, I was happy with her plan and even happier with the results. I don't look forward to going to the hairdressers usually but I was proved wrong today as it was great. The head massage the male member of staff gave me while conditioning my hair was incredible! I went on a groupon deal but I will try and find the money to return. Charisma is always looking for new talented, motivated staff to join our existing team. With career opportunity’s always around the corner, why don’t you send us your CV. Copyright © 2019 Charisma Hair & Beauty Salon.